The TCM TAC Ultra FS HC Combo—shown with a SureFire X400 Ultra light/laser—is a versatile package that can handle any number of tasks. Despite containing a double-stack magazine, the TCM Tac Ultra FS Combo’s grip is comfortable in hand, and the pistol points very naturally. The slide features wide front and rear serrations while the steel frame sports thin G10 grip panels. Also note the ambidextrous thumb safety. 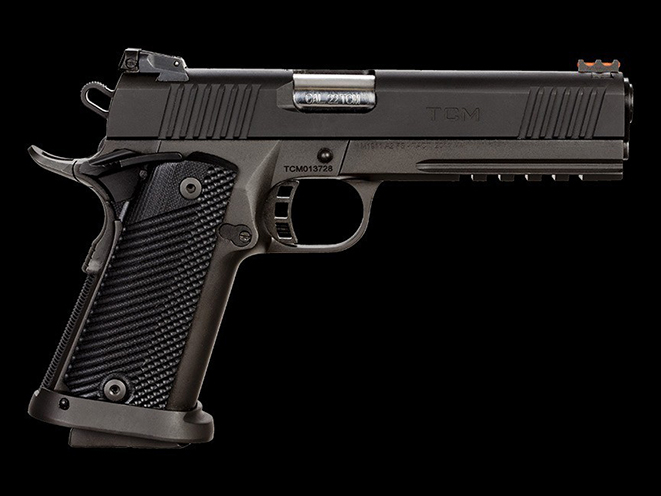 With 17+1 rounds of 9mm or .22 TCM ammo on tap, the TCM TACUltra FS Combo offers plenty of firepower for personal or home defense. It’d also work well on varmints. My first car was a 1969 Buick Skylark convertible. It was a bit old when I got it, but it remained in good mechanical shape. The top was serviceable, and the exterior sported an uninspired brown color similar to that of poop. First, I had to do something about the color. After I mowed most of Mississippi through a torrid summer to pay for the new paint job, the ride emerged from the shop rocking a gleaming metallic blue. I replaced the original AM radio with a state-of-the-art 8-track player and unleashed myself on the world. When I first dropped behind the wheel in 1981, my Skylark was the only convertible in Clarksdale, Mississippi. Overnight, I was transformed from just some guy into something that almost approximated cool. I really started driving at 13. You could do that in the rural South back then. By the time I got my license at 15, I could drop the top, don my mirrored aviator shades and cruise the circuit, making eyes at the ladies. 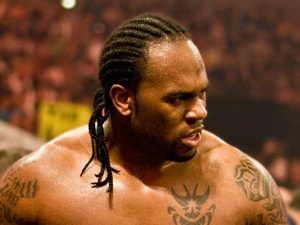 The fact that they sometimes made eyes back was less a function of me—roughly 145 pounds of scrawny, unfiltered hormones—and more a function of that sweet ride. The capacity to zip around town with the top down was my ticket to the good life. I’m waxing nostalgic about the coolest set of wheels this side of Graceland because Rock Island Armory now makes a pistol so extraordinary it pushes the awesome-meter into the regions previously reserved for the flop-top Skylark. The gun is also a convertible. 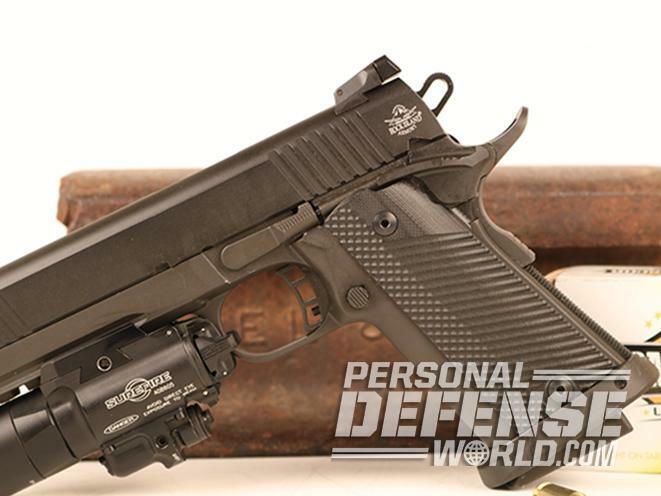 Of course, a pistol that extraordinary starts as a 1911. John Moses Browning was born five years before the American Civil War. 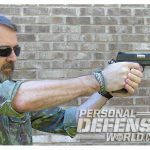 The 1911 pistol he designed fired a bullet twice as heavy as those used in European pistols at the time. 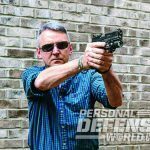 His 1911 pistol was born out of the need for more stopping power than the issued .38-caliber revolvers provided during the Philippine-American War. 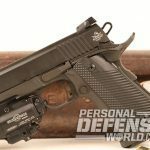 Now the 1911 comes full circle. 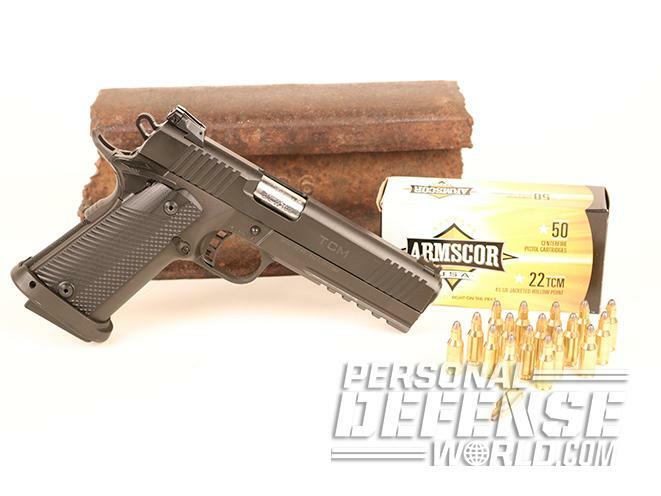 Rock Island Armory is the American face of Armscor, which is short for Arms Corporation of the Philippines, and the company produces more 1911 pistols annually than any other manufacturer. 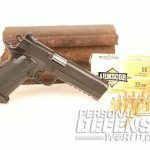 In addition to making a lot of quality, reasonably priced 1911 handguns, Armscor tends to tinker. The inspired result of that is the .22 TCM cartridge. 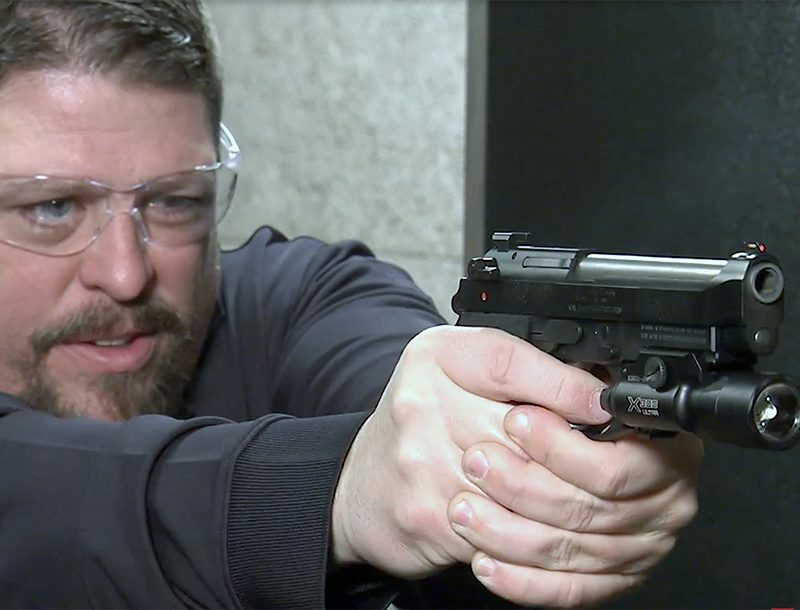 Imagine what would happen if the 9mm and .22 LR were essentially combined, producing a 40-grain projectile that flies at 2,000 feet per second (fps). 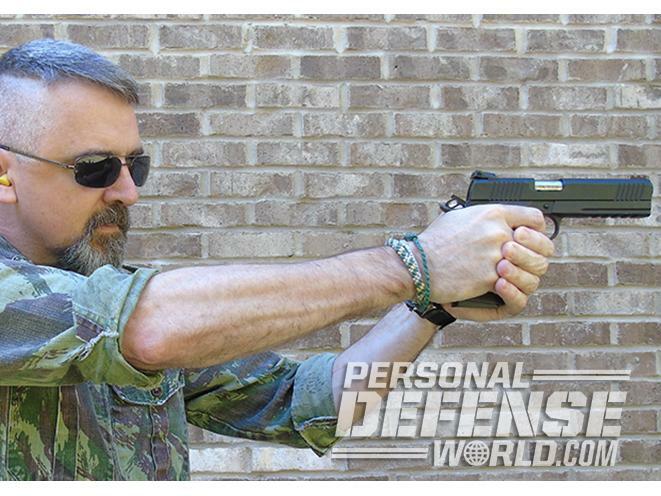 The .22 Tuason Craig Micromagnum (TCM) is slicker than snot. “Tuason” is the name of the family that owns Armscor. “Craig” alludes to Fred Craig, the custom gunsmith who designed the round. The result is unlike anything I’d ever seen before. The tidy little round is all but recoilless. I recently got my hands on what Rock Island Armory calls the TCM TAC Ultra FS HC Combo. 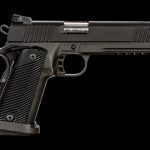 The gun is a steel-framed 1911 that, when paired with the revolutionary .22 TCM cartridge, will knock your socks off. Each stroke of the trigger produces a tidy volleyball-sized muzzle flash. The blistering little rounds shoot flat beyond 100 meters and blow up milk jugs like a hand grenade. If I had an unlimited supply of ammo, I would stay at the range until I starved. 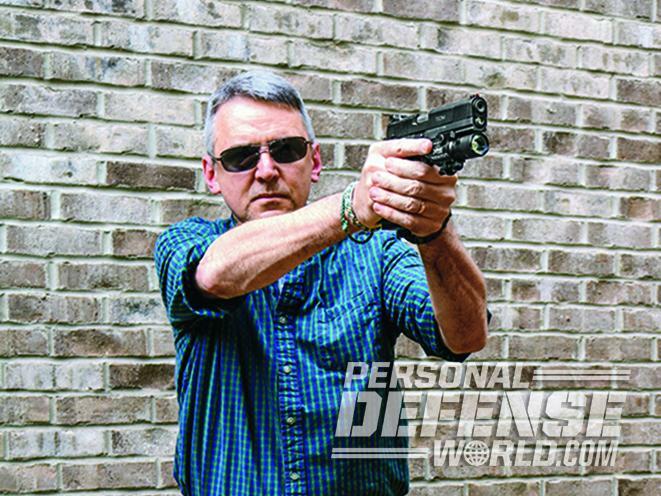 The TCM TAC Ultra FS HC Combo is technically two guns in one. 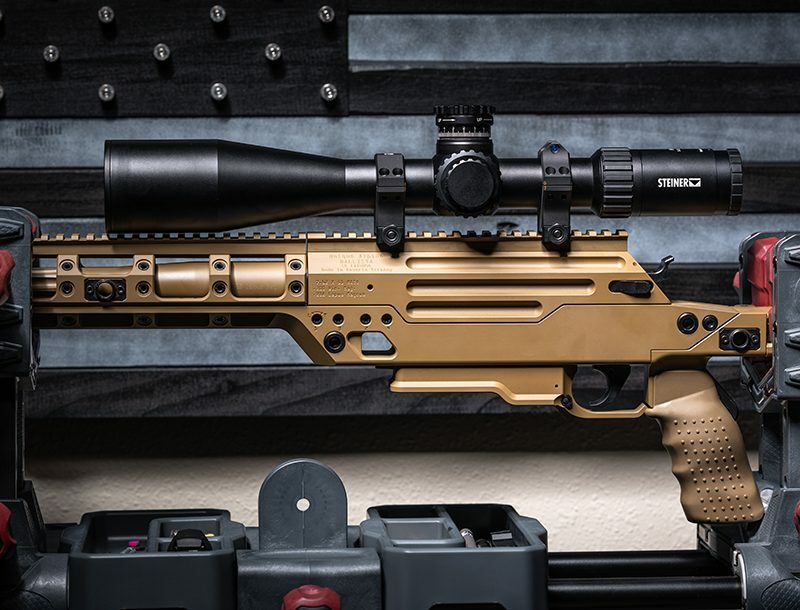 Swap the barrel and recoil spring and you can run standard 9mm ammunition. The conversion also demands no special tools—you just need your hands. This cartridge versatility is a good thing. There’s always some concern that somebody’s latest, greatest new cartridge won’t have staying power. I own a gun or two that are essentially paperweights now that the ammo they eat has gone the way of the dodo. Although I’d put my money on the .22 TCM finding long commercial legs, it’s a good thing that this gun can always digest 9mm ammo, too.